Paulo Coelho has touched millions of readers searching for their own path for understanding the world. He is the founder of the Paulo Coelho Institute, a nonprofit institution that gives opportunities to the underprivileged members of Brazilian society, especially children and the elderly. Born in 1947, Paulo entered the Jesuit school of San Ignacio in Rio de Janeiro at age 7 but hated the obligatory nature of religious practice. In 1987, a year after walking the Road to Santiago, a medieval pilgrim’s route between France and Spain, Paulo wrote his first book, The Pilgrimage. The book describes his discovery that the extraordinary occurs in the lives of ordinary people. In 1988, Paulo wrote The Alchemist, a highly symbolic book that went on to sell more copies than any other book in the history of Brazil. Sales of his books have totaled almost 61 million copies in 140 countries. 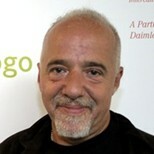 In July 2002, Paulo Coelho became a member of the prestigious Brazilian Academy of Letters. Paulo writes weekly journalistic columns syndicated throughout the world to several notable organizations. He has also appeared in various documentaries about his life and about various aspects of Brazilian life. • There is only one thing that makes a dream impossible to achieve: the fear of failure. • At this moment, many people have stopped living. They do not become angry, nor cry out; they merely wait for time to pass. They did not accept the challenges of life, so life no longer challenges them. You are running that same risk; react, face life, but do not stop living. • But there is suffering in life, and there are defeats. No one can avoid them. But it’s better to lose some of the battles in the struggles for your dreams than to be defeated without ever knowing what you’re fighting for. • Everyday God gives us the sun and also the moment in which we have the ability to change everything that makes us unhappy. Our magic moment helps us to change and send us off in search of our dreams. • Follow your dreams, transform your life, take the path that leads to God. Perform your miracles. Cure. Make prophecies. Listen to your guardian angel. Transform yourself. Be a warrior, and be happy as you wage the good fight. Take risks. • Have courage, be capable of loving...Be happy in love. Be joyful in victory. Follow the dictates of your heart. • Tell your heart that the fear of suffering is worse than the suffering itself. And that no heart has ever suffered when it goes in search of its dreams. • You can become blind by seeing each day as a similar one. Each day is a different one; each day brings a miracle of its own. It’s just a matter of paying attention to this miracle. The Alchemist is one of the biggest-selling inspirational books of all times, and this it clearly the best place to get started. To begin with, The Alchemist is well-written, entertaining, and thought-provoking. It is a charming fable, based on simple truths about following one’s dreams. In the book, Brazilian storyteller Paulo Coehlo introduces Santiago, an Andalusian shepherd boy who dreams of a distant treasure in the Egyptian pyramids. Shortly thereafter, he leaves his home in Spain to follow his dream. During his journey, he meets many spiritual messengers, including a camel driver, a well-read Englishman, and of course, an alchemist. The Alchemist is the type of book that many people have read over and over, and for many, it has changed their lives forever. An international bestseller for years, it has become a modern classic.